Fans of LnL’s Line of Fire PDF magazine may be somewhat disappointed to learn that the 100 pages includes almost all of the WaW articles from LoF but there are still 30 pages of new material plus scenarios, card stock maps and die-cut counters. 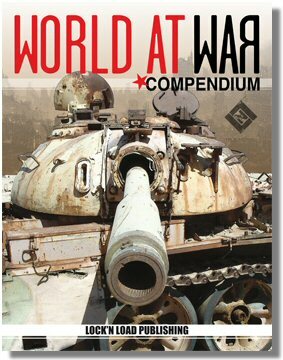 The Compendium will be available in a print version as well as a PDF download. Note: The PDF version is now available for purchase. This entry was posted in Modern, News and Updates, World at War.